Now reading: COUGHS AND COLDS – HERE THEY COME! COUGHS AND COLDS – HERE THEY COME! Cold and flu season is approaching. It’s the time of year when everyone is sniffling, spluttering and coughing into tissues, which makes it pretty hard to avoid picking up infections. 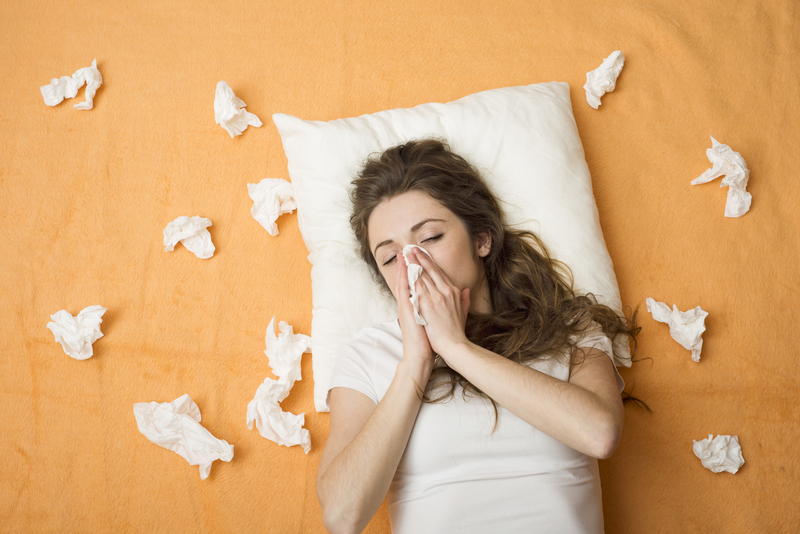 With over 200 strains of the cold virus, it’s no surprise that adults suffer from 2 to 5 colds per year. There’s nothing worse than feeling like you need the full day in bed with a bowl of soup but having to drag yourself out the door to work, tissues and painkillers in hand. We have all been told before that no amount of antibiotics will kill a cold, in fact there is no cure whatsoever for a cold or flu virus. Taking steps to prevent picking up these infections in the first place could stop you having to take a day off sick. One key way to avoid these common infections is to have an immune system that is strong and healthy. Any kind of stress on your body, particularly from illness and over-working yourself can cause your body to use up minerals and trace elements faster than normal. This means your metabolism will increase which can cause your immune system to become suppressed, so your body won’t be able to fight of infections quick enough. If your immune system is weak, then it can be harder to recover from cold and flu viruses – which means coughing and sneezing for even longer. A report from the NHS has also suggested that If you seem to be picking every cold and flu bug that’s going around, then it could be your bedtime that is to blame. This is because a prolonged lack of sleep can disrupt your immune system, which again means you’re less able to fend off bugs. One ampoule of Cellnutrition Quinton Isotonic before bed is beneficial in helping the body restore and replenish itself, which can improve sleep and leave you feeling more refreshed. Taking Cellnutrition Quinton Isotonic daily will help to balance your cells, whilst supporting the immune system, by giving you the 78 essential minerals and trace elements in proportions that mirror the ideal composition of your body.